running out to put in your two cents about a rule proposed by the Trump administration that a new report says could cost female workers $4.6 billion in tips a year. The Department of Labor wants to rescind Obama-era rules that barred employers from seizing their workers’ tips. 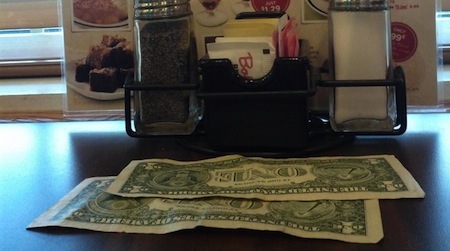 Researchers at the Economic Policy Institute found that the change could cost tipped workers overall $5.8 billion a year. Study co-author Heidi Shierholz says women would take 80 percent of the hit. The administration defends the change as a fairness issue, saying it will facilitate tip pooling, which would allow restaurants, for example, to take the wait staff’s tips and spread them around to the dishwashers and cooks. However, nothing in the rule stops employers from simply pocketing the tips, as long as everyone makes at least minimum wage. The public comment period on regulations.gov ends Feb. 5. Shierholz maintains the rule change would not end up helping non-tipped workers. “They’re already paying those workers what they need to get workers in those jobs, and so if they do share any tips with workers at the back of the house, it will very likely be offset with declines in their base pay,” she points out. Shierholz notes that the administration failed to conduct an economic analysis of this rule change, which is required by law. That could become the basis of a law to stop the change – if the administration finalizes the rule.